As the fall foliage finds itself fleeing to the ground, Madeline and Tyler also found themselves turning to the leaf covered outdoors to celebrate and capture their engagement. It was our privilege to spend a few hours getting to know them and help them create some memories to last a lifetime together. 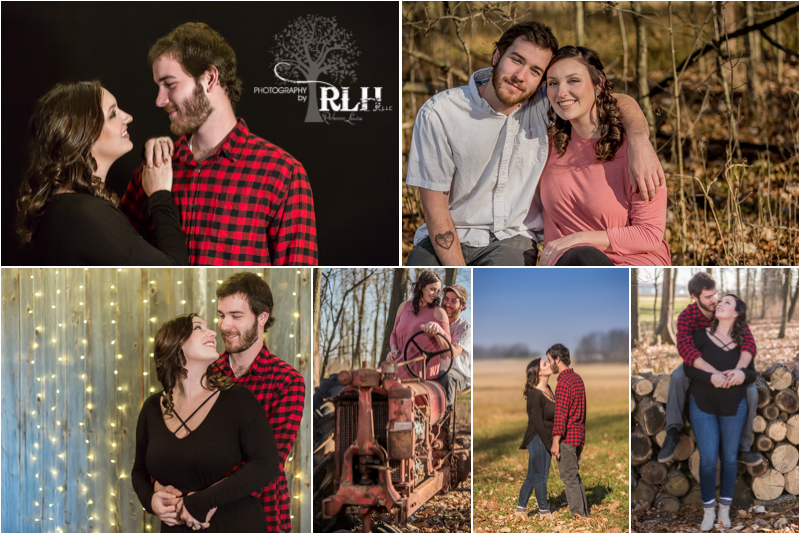 They saw beauty in all the rustic "decor" throughout the yard and turned that into a fun session using almost everything you can imagine as props! We are excited to be along with them through their journey to marriage and beyond. THANK YOU Madeline and Tyler! Welcome to the RLH family!